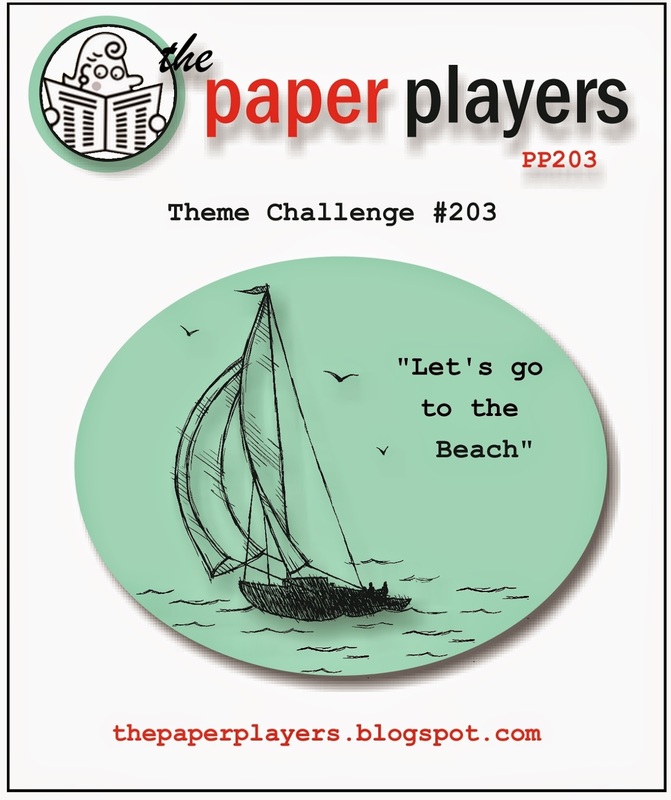 Welcome back to another Freshly Made Sketch Challenge! 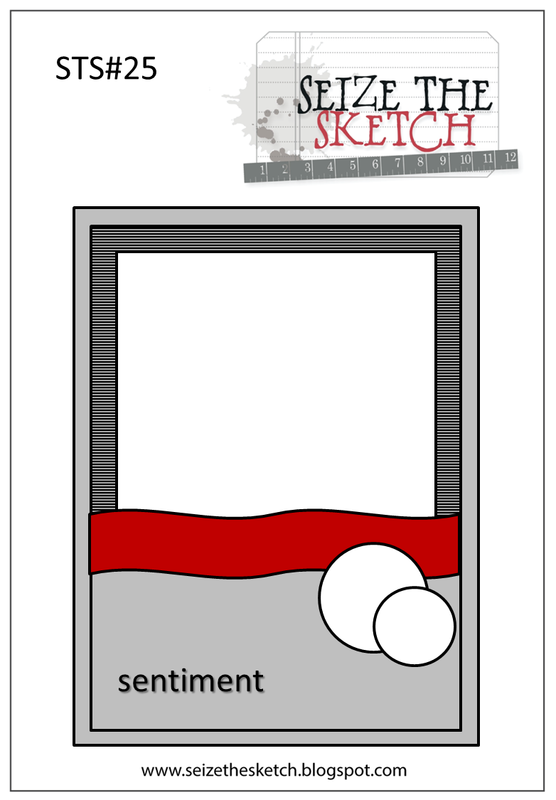 This week, our very own, super-talented Artisan, Jennifer Timko, designed the sketch. Now, before we get to my card, I have to confess that when I re-drew the sketch on some scrap paper before heading off to my craft room, I somehow drew it as a square card! 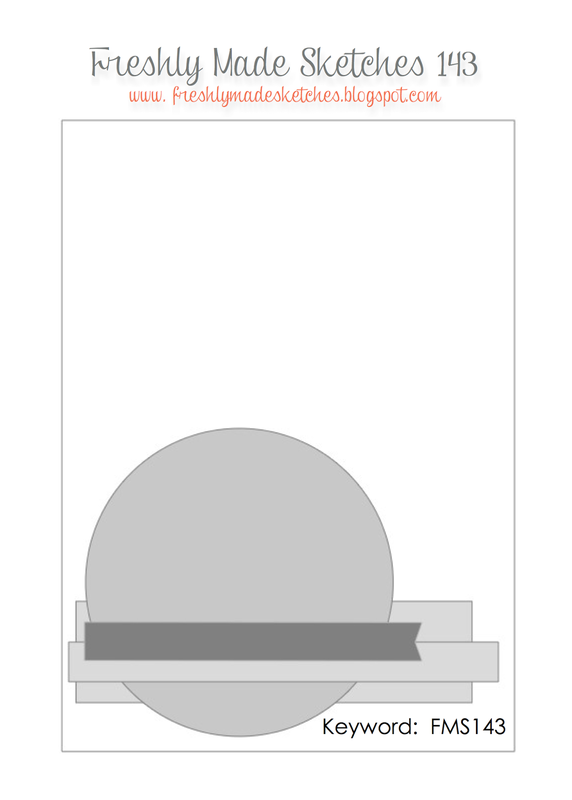 To boot, my three panels are different sizes to the sketch. Doh! Despite all that, though, I do like this card. 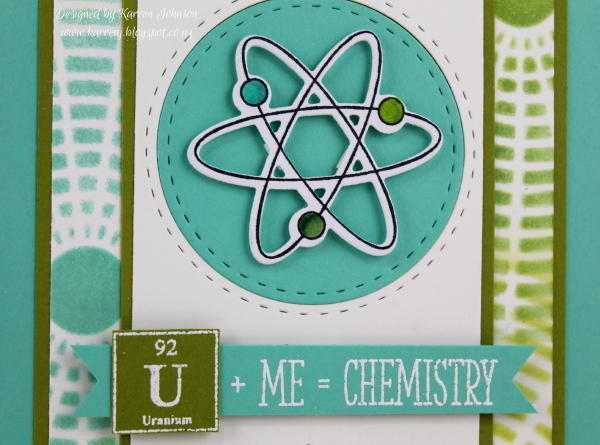 I took advantage of the sale at Online Card Classes and bought the Creative Chemistry 101 class. What fun! I made my background panels using distress inks, my blending tool and flicking water over the top. I then went over the whole thing using Old Paper ink and flicked water again. Thanks for visiting. I hope you visit the rest of the design team as they have fabulous cards made for this challenge. Merry Monday - Say What? Welcome to Merry Monday! This week, we have no Christmas cards for you. Say what? 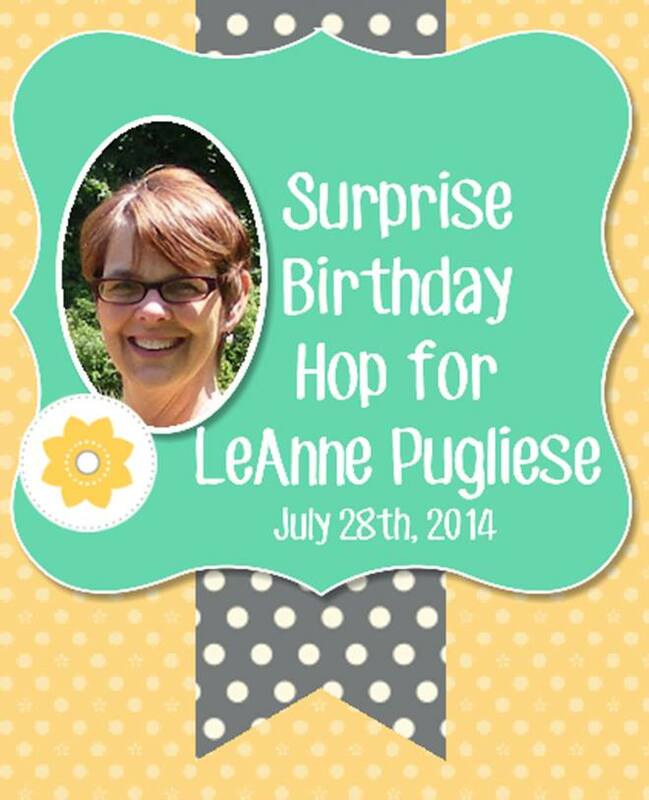 We're throwing a surprise birthday blog hop for our fellow design team member, LeAnne Pugliese of Wee Inklings fame! LeAnne is celebrating a milestone birthday and we want to make her birthday extra special. I tried to channel LeAnne while I was making this card! I went for a vintage image, colored with Copics. I also used some vintage-looking papers and a card to celebrate LeAnne wouldn't be complete without a shabby bow, now, would it? Here's a close-up shot. 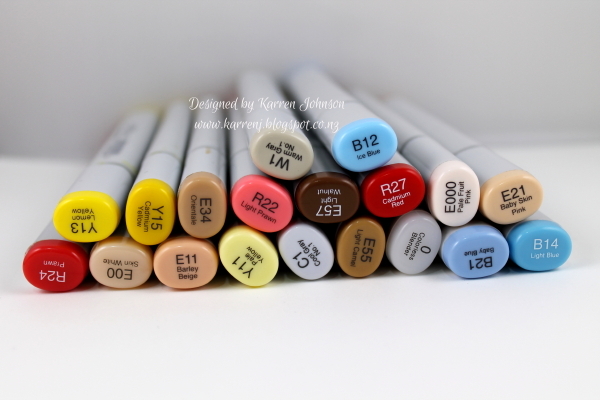 Here are the copics I used, if you're interested. So what next? 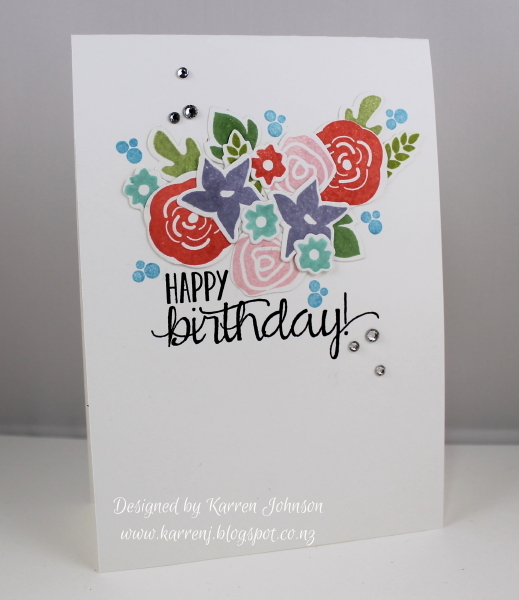 Well, follow the blog hop around to see everyone's fabulous cards. The next stop is the very clever Sue Joyce. 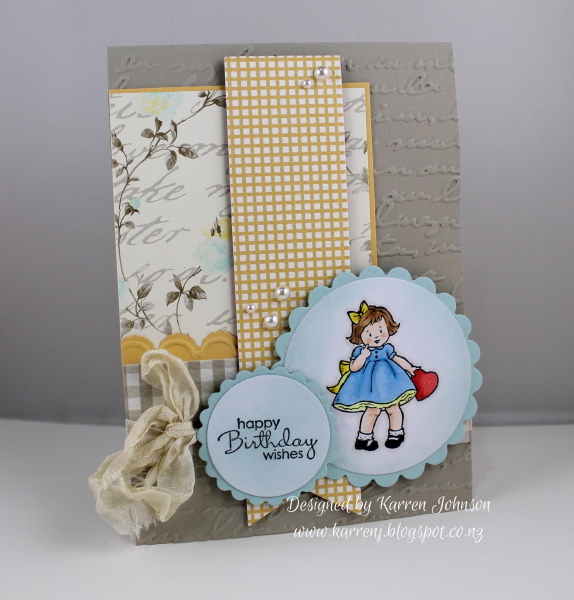 Once you've been around the blog hop, go make a birthday card for LeAnne and link it up to Merry Monday. We'll be choosing a winner and honorable mentions like any other challenge, so have a go! 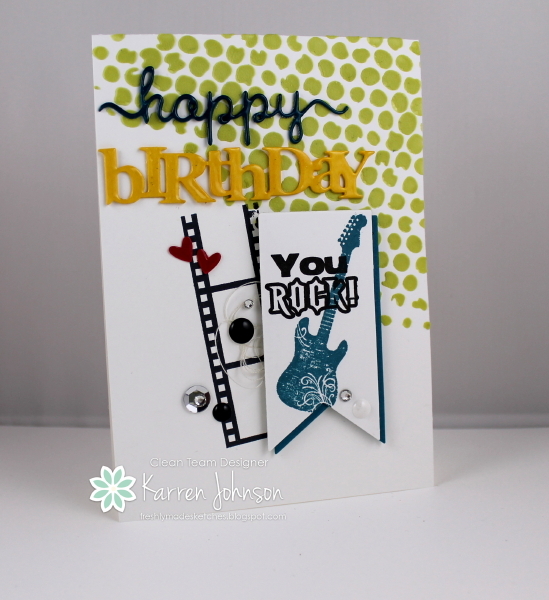 I used a recent Verve sketch for this card. Last but definitely not least, I hope you have a wonderful birthday, Leanne! Hi everyone! 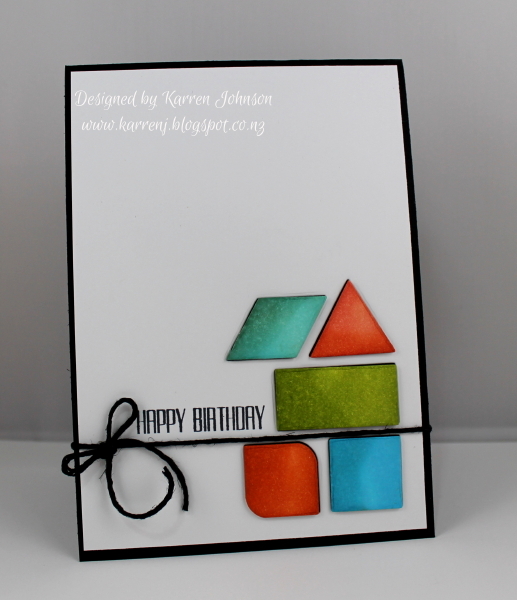 Today's card uses the fabulous colors at The Card Concept along with the sketch at Seize the Sketch. 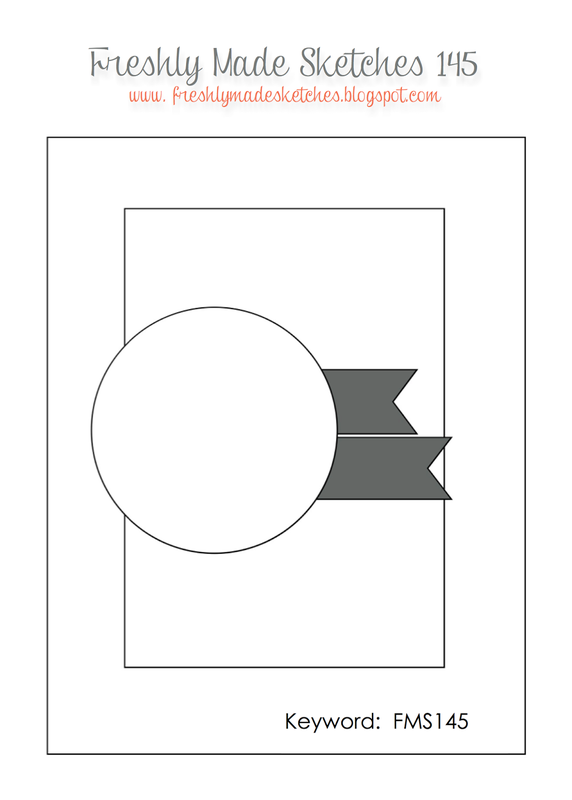 My style for this card would be Clean & Layered, I'm guessing. I started out with the background panel which I'd sponged with distress inks and flicked with water. I then white embossed the Tiny Flags stamp over the top. 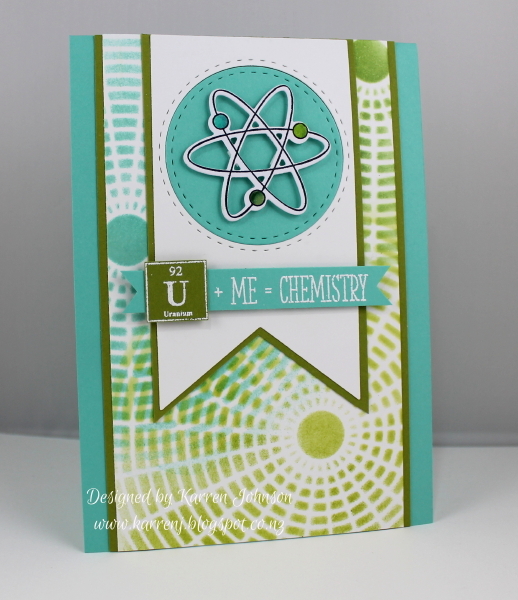 I love how the aqua and lime inks blended to look yellow! It's hard to see in the photos but I also stamped the flag background in Versamark on the White panel. The horizontal panel gave me fits! I tried so many different option but had to give up in the end and used this white embossed panel which I line up with the triangles in the main panel. The sentiment was cut twice in both colors then cut apart between the "thank" and the "you". 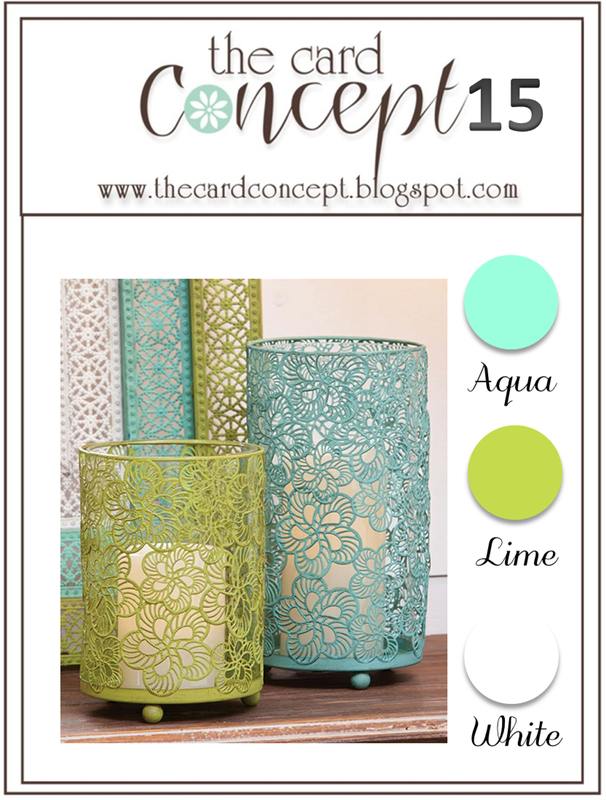 I then used the "thank" in Lucky Limeade and the "you" in Coastal Cabana. Edited to Add: This card won at Seize the Sketch. Hi and welcome to Freshly Made Sketch Challenge day! This week, our hostess is the sweet and talented Amy. 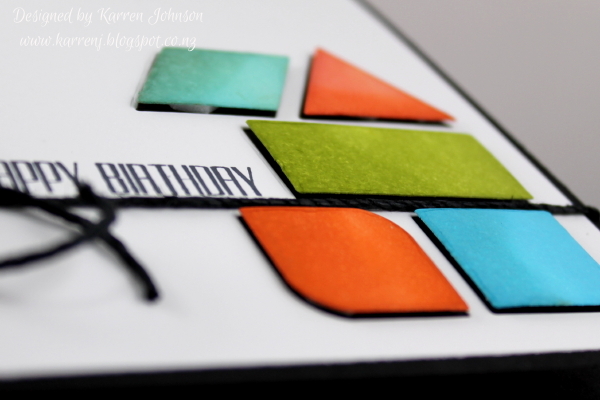 She makes the most wonderful cards and uses the coolest color combos! For my card, I used a Close to my Heart set which is a bit tongue-in-cheek. As you can see I flipped the sketch so the lady wasn't looking off into nowhere. The retro, 1950's look really appealed to me. 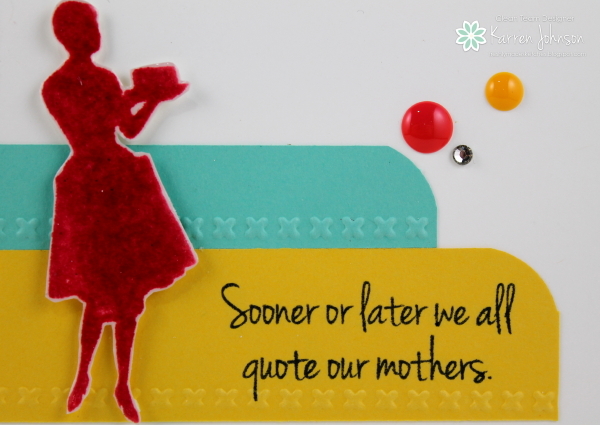 I stamped the 50's housewife in Strawberry Slush and then clear embossed it a couple of times. The two colored panels are dry embossed with the Needlepoint embossing folder, because of course a 50's woman would be a SAHM, stitching away during the day :) My lady is popped up on dimensionals. 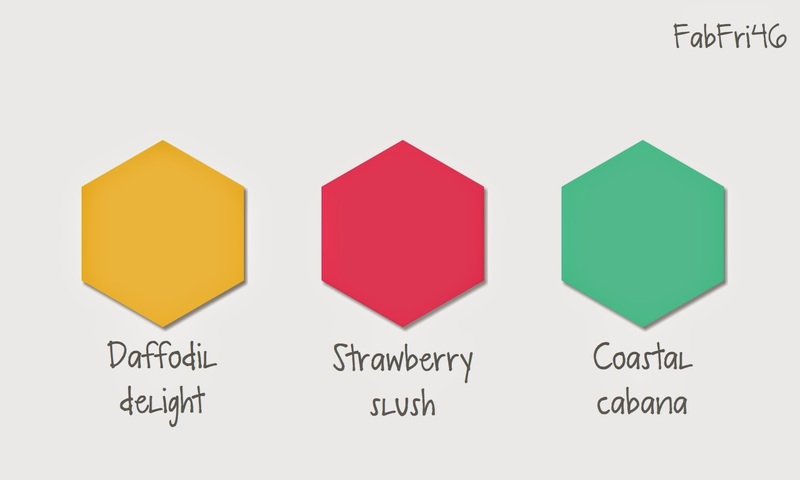 The colors in the photo look like Really Rust and Crushed Curry, but they are actually Strawberry Slush and Daffodil Delight. 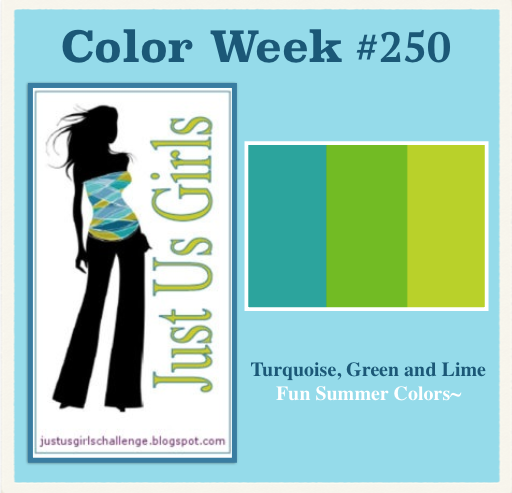 I used the colors from this week's Fab Friday challenge for my card today. Thanks for visiting. If you haven't checked out the rest of the design team's creations, be sure to pop over and visit the FMS blog. 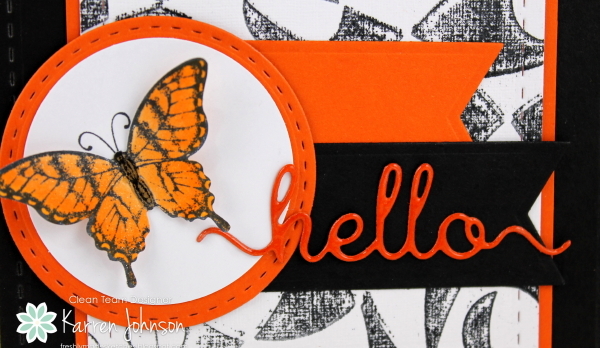 It's Merry Monday time and this week Lori is challenging us to use ribbon and buttons on our cards. I made five little bows and stuck them to five buttons the ran some twine from the buttons to look like ornaments. 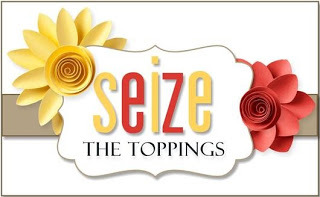 The sentiment is white embossed. Very simple if a bit bulky but I like it. Thanks for visiting. 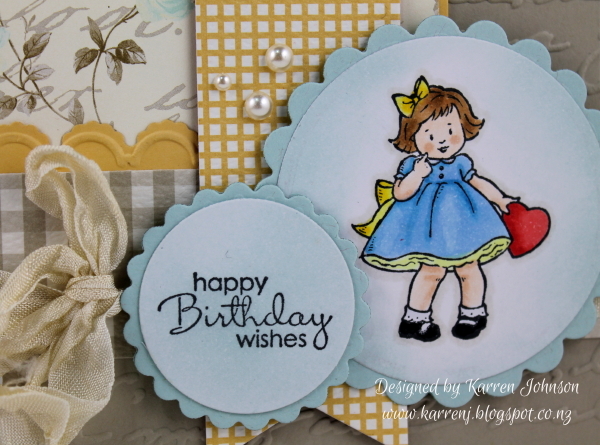 Check out the rest of the design team's cards then go dig out some buttons and ribbons and join in the fun! Hi and welcome to Sunday! Today has been a fantastic day for me as I was named Featured Stamper over on SCS! This is such a thrill for me and I'm truly grateful. Now onto my card for today. 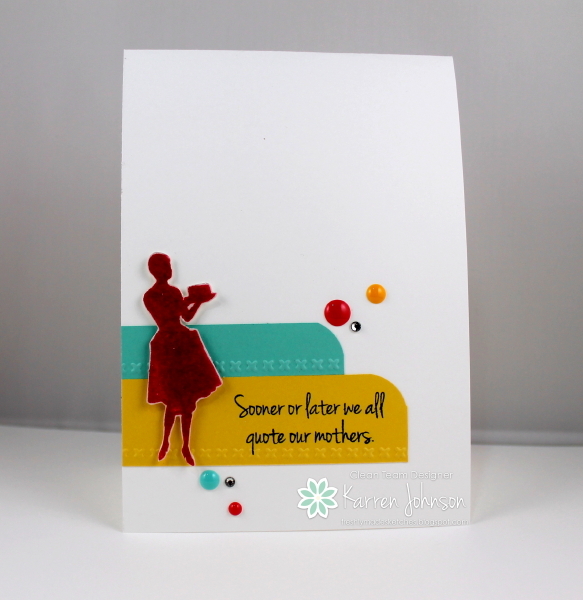 I combined the color challenge at Just Us Girls with the sketch at Retro Sketches to come up with this card. For the background panel, I used a new stencil from Studio Calico and I lightly pounced ink over the stencil before moving it to another position and changing ink color. 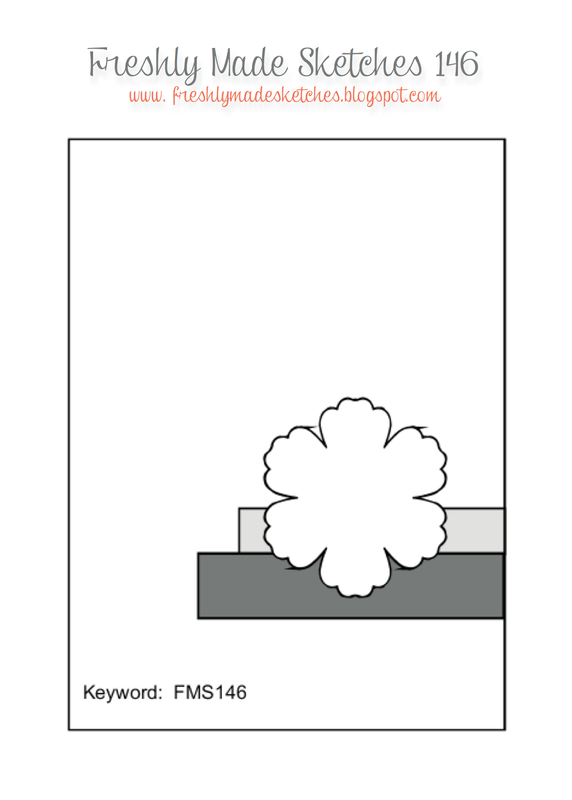 The stamped image was colored with Copics and the sentiment was white embossed. I didn't use the ribbon element as per the sketch because I'm planning on giving this to my DH and he's not really a ribbon-sort of guy. Hi and welcome! It's Saturday afternoon here and I've been playing in my craft room in between loads of laundry. Now, normally I don't love cards I make - I always look at other people's cards and wonder why I didn't think of using the stamp that way or putting those colors together, etc. I'm sure there are a few of you out there who can relate, right? But, this card I totally love! It may not be an original idea but I haven't seen it out in blogland. I used a new-to-me set and dies from Clearly Besotted called Geometric Style. I was going to stamp the shapes using the stamp set but when I cut all the dies out at once, I liked the pattern left by the negative die cut so decided to go that route. I sponged the color onto the shapes, shading more on the left hand side. I layered the negative die cut piece onto a Basic Black card base then popped up the shapes on dimensionals so you can see a hint of black behind the shapes. The sentiment is from the stamp set and I finished off with some thick hemp twine. Thanks for looking. 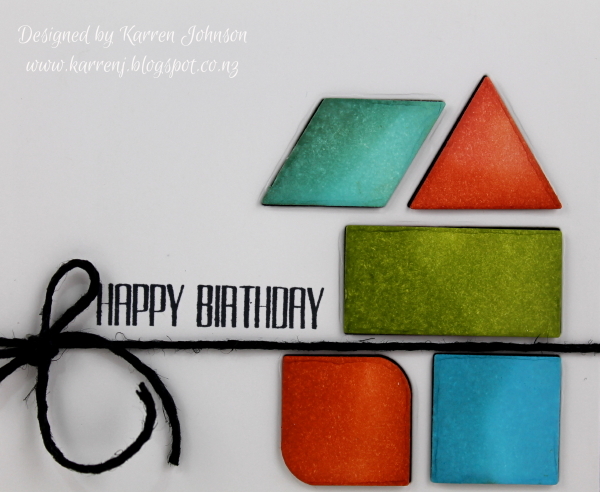 I'm entering this card into this week's ColourQ challenge and Seize the Birthday where the toppings option is twine. Hi and welcome to Freshly Made Sketch Challenge Day! This week, the Queen of Fussy-Cutting and my fellow antipodean, Narelle Farrugia is our host and she has come up with this wonderful sketch for us. 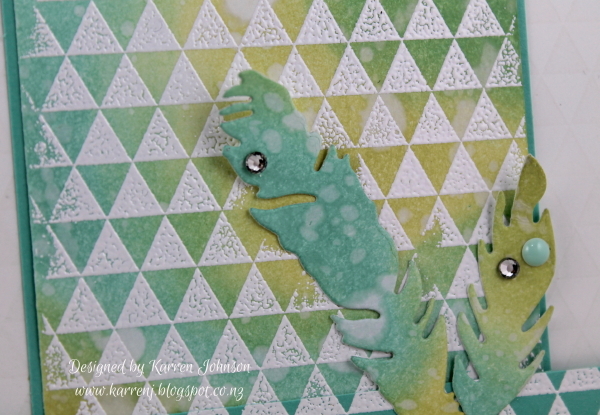 On my card, I wanted to make the layer behind the circle the focus and that was totally because I'd just received a new embossing folder and had to use it! I saw this embossing folder used on the card of a recent Princess at FMS, Sonja, and immediately went searching for it online. It arrived yesterday and so became the focal point of my card. I also bought some linen cardstock at the local stationery store the other day and thought that would add some nice texture. I inked up one side of the embossing folder with Memento Tuxedo Black and then run the linen card and folder through the Big Shot. The butterfly was colored with Copics, then painted with Wink of Stella and some Glossy Accents on the body. 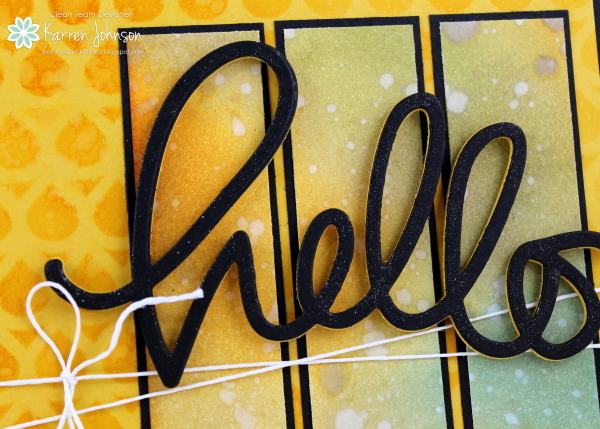 The "hello" was clear embossed to give it some extra body. Thanks for looking. You really need to check out the awesome gorgeousness of the rest of the design team's samples! 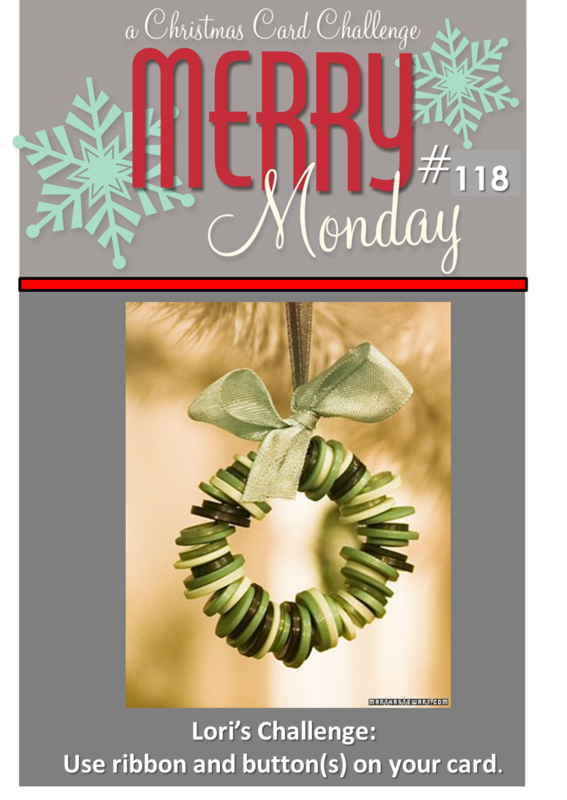 It's been a busy weekend and now we're back around to Monday and another Merry Monday challenge. 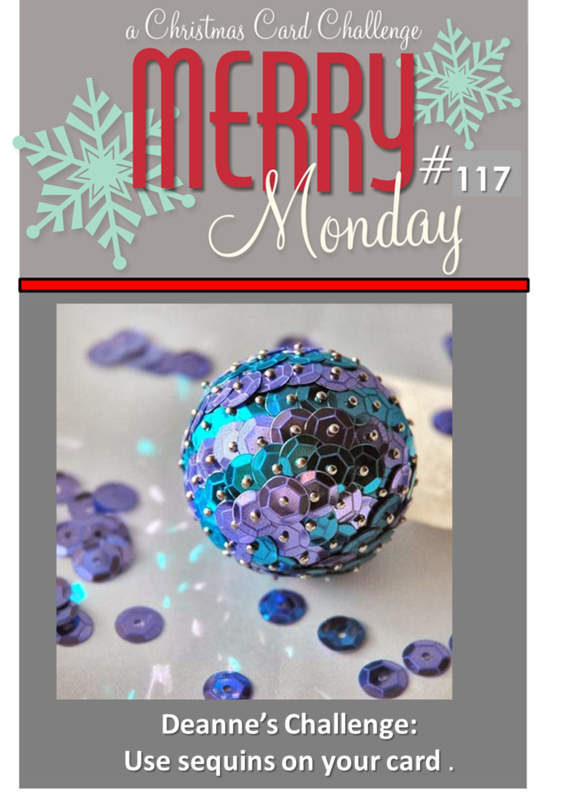 This week Deanne has challenged us to use sequins on our cards. I went very CAS and elegant this week, with a gold and black color scheme. 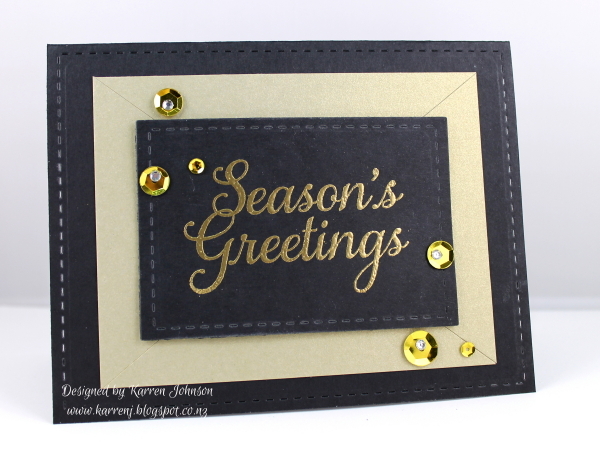 I gold-embossed the greeting and layered it onto some Brushed Gold cardstock which I'd cut from corner to corner to add a bit of interest. I then arranged some sequins and rhinestones and called the card done! Thanks for visiting. 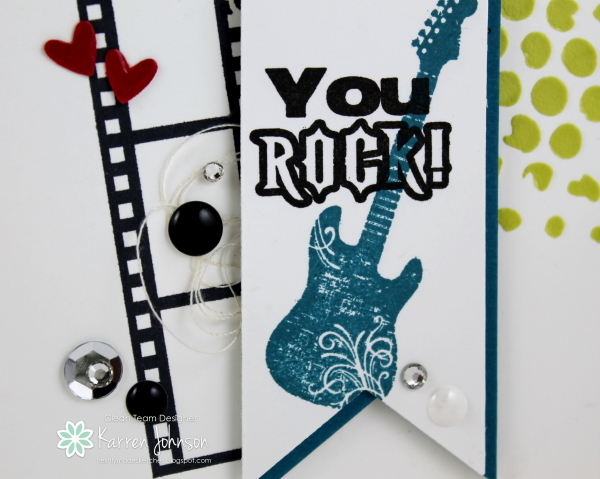 The rest of the design team have some fabulous sequin-y cards for you this week so be sure to check them out. It's my turn to host the challenge at Freshly Made Sketches and I came up with a fairly CAS-style sketch. I hope you can play along. As you can see from my own card, I took a fairly liberal approach to the sketch! 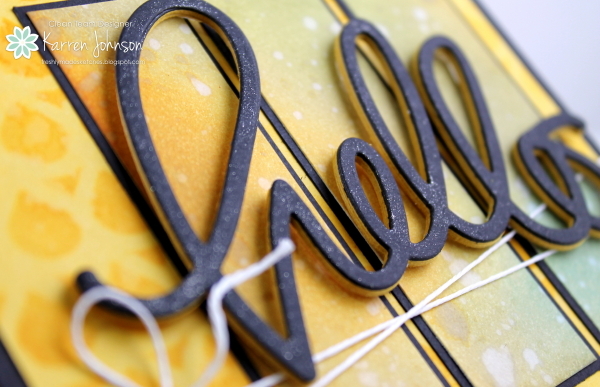 The card base was stenciled with a Tim Holtz stencil and embossing paste, colored green. 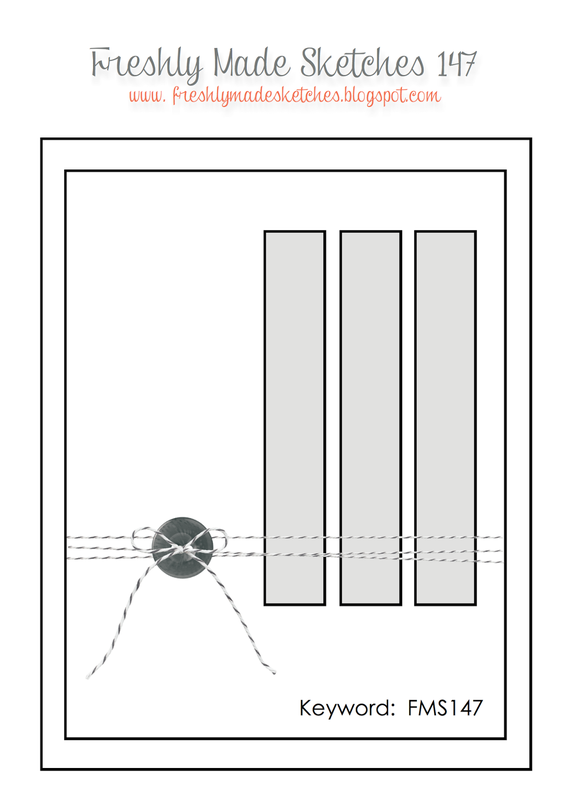 The filmstrip is stamped directly onto the card base. I tucked some thread behind the banner and the arranged some enamel dots, sequins and rhinestones. The sentiment is die cut and clear embossed a couple of times before being adhered to another layer to give it some depth. Thanks for visiting. The rest of the design team have produced amazing cards, as always, so be sure to check them out. 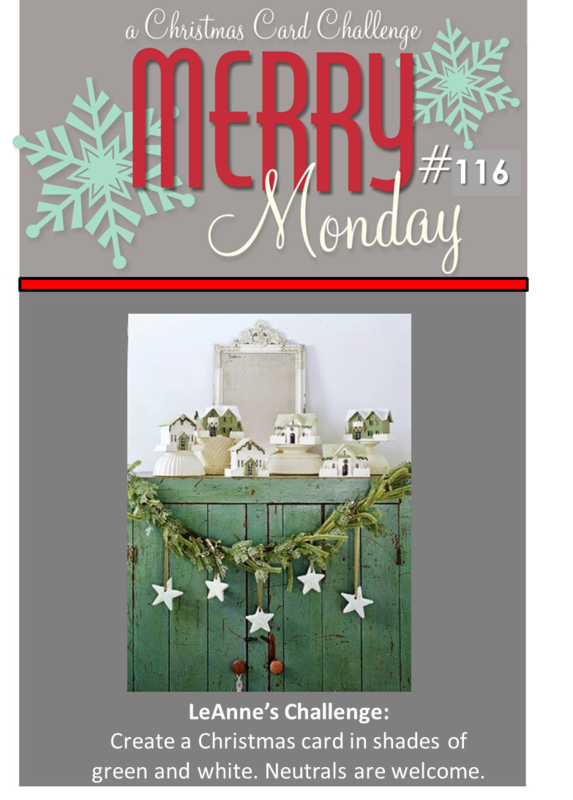 For this week's Merry Monday challenge, LeAnne has challenged us to use green and white on our Christmas cards. Easy, right? 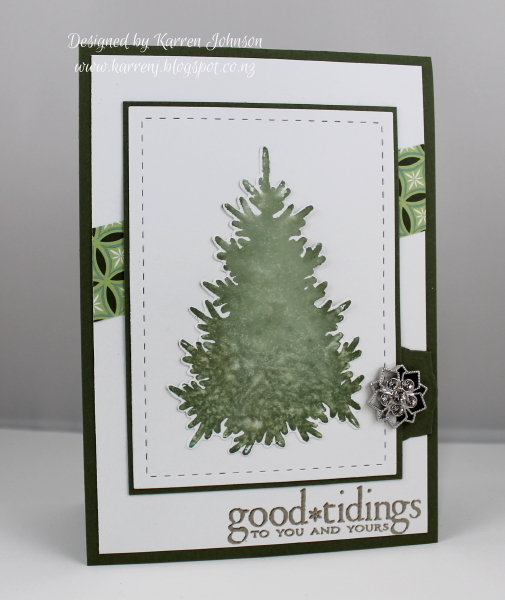 I spent hours on my card trying to get it looking right - it took 8 attempts to get the tree. The first seven times I couldn't get good ink coverage and in the end I colored the stamp with a marker and spritzed with water to give it a deliberately mottled look. I just received some PTI goodies in the mail on Friday and I was determined to use my new In the Meadow set. I used this week's sketch from Verve as my layout. 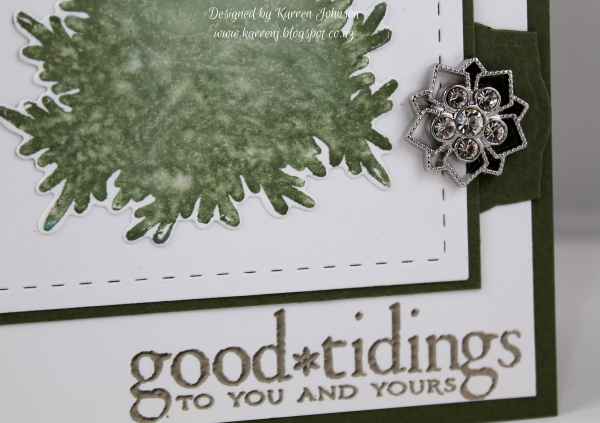 The sentiment is embossed with Pewter EP, which is such a gorgeous color. Thanks for visiting. If you haven't already checked out the rest of the design team's inspiration, make sure you do - they are awesome! This is my second post today. 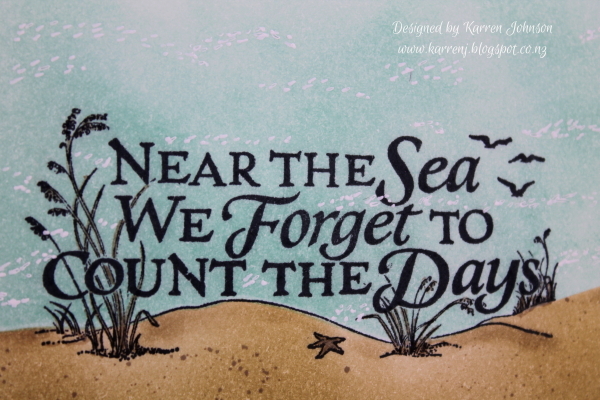 Scroll down for my beachy card. I spent some time today making a birthday card for Darnell. Darnell makes our little corner of the internet special with her generosity of time and the lovely comments she leaves so very often. 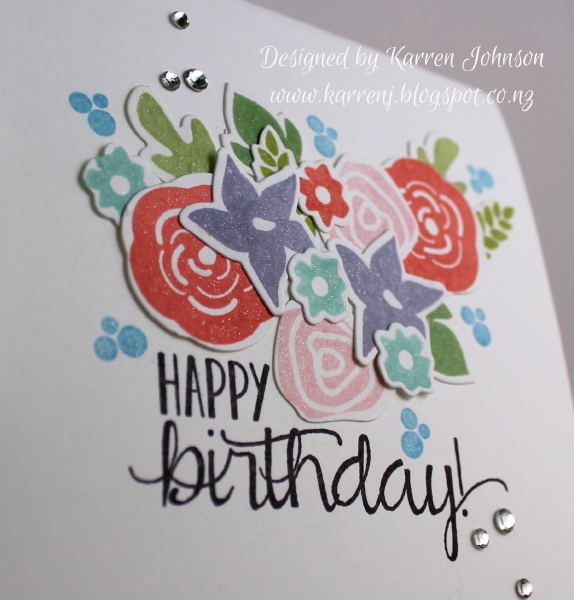 And let's not forget her blog posts - so hilarious and she offers up the most gorgeous cards. So I made this card with Darnell in mind. 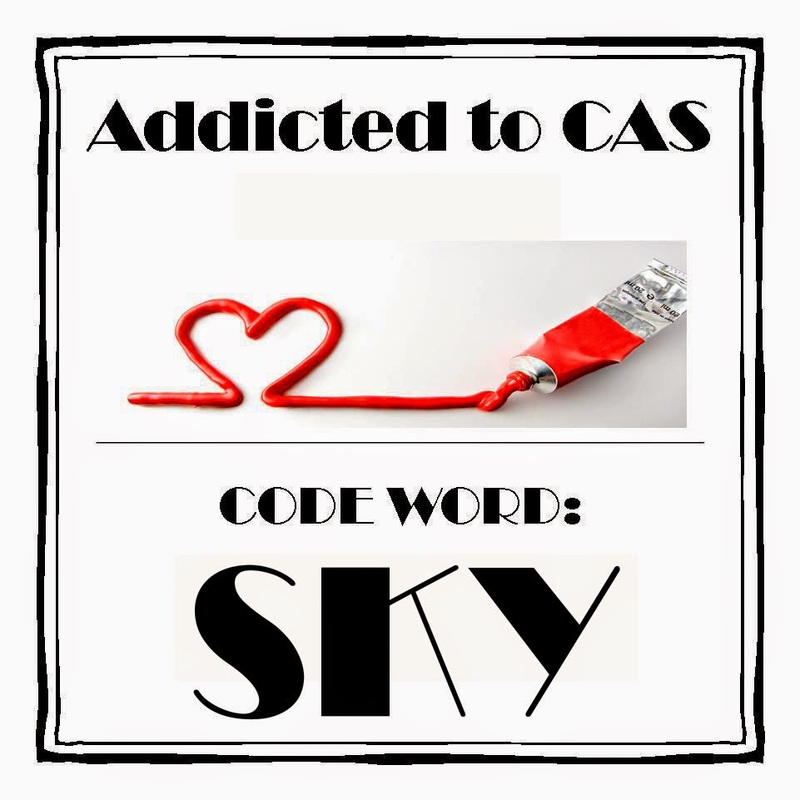 I kept it CAS because that's how she rolls. 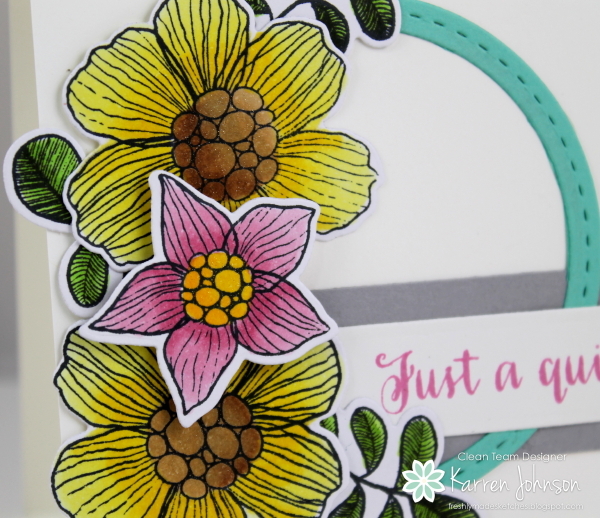 It's only fitting that I used NBUS for this card - a new PTI set called Bigger Blooms. 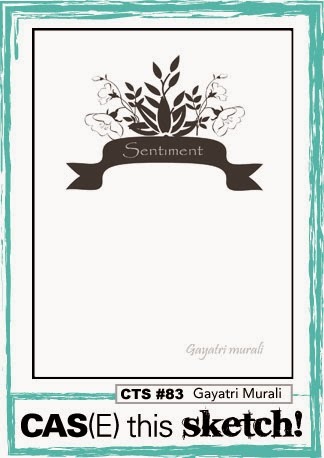 I just love the font on the sentiments in this set. 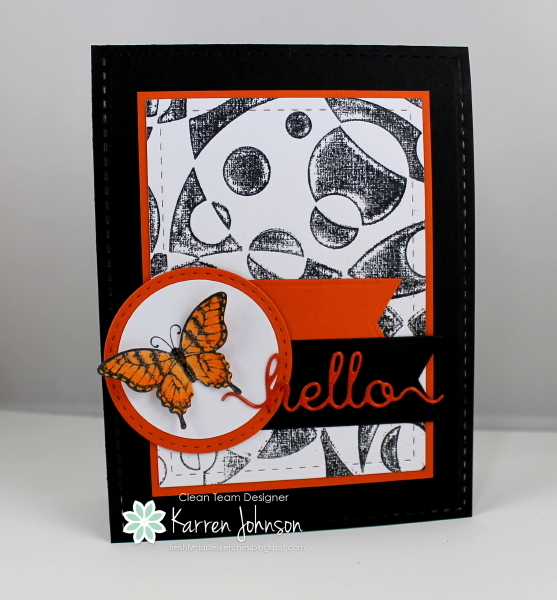 I die cut and stamped various images using several different ink colors, then arranged them on the card base. Once they were all stuck down, I went around with the little dot stamp then finished off with some rhinestones. Each of the flowers and leaves were colored with Wink of Stella. As always, it's hard to get a good photo so this is the best I could do. I was inspired by the sketch at CAS(E) This Sketch. Thanks for visiting and I hope you had a wonderful birthday, Darnell. Hugs! It's Monday morning here and I have two days off work - yahoo! It's the school holidays here in New Zealand and it's also my son's 12th birthday tomorrow, so I'm spending a couple of days with him. For his birthday dinner, he wants to cook a three course meal a la "My Kitchen Rules", so we're also getting ready for that. 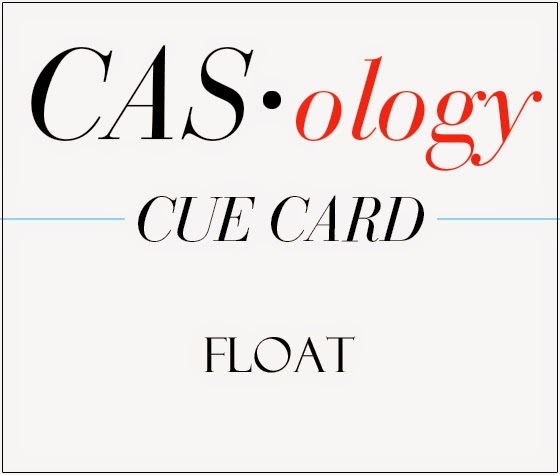 Anyway, I took some time this morning to make a card which covers several challenges: Addicted to CAS, CASology and The Paper Players. 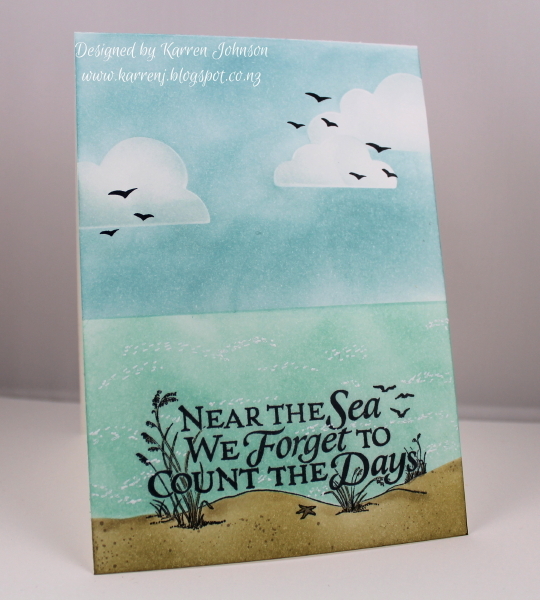 I created a beachy scene using an old PSX stamp as my focal point. After I stamped the image in Memento ink, I masked off all but the sand and sponged Crumb Cake and River Rock before using my Color Spritzer to spritz some Crumb Cake ink. I then masked off and sponged Pool Party ink for the sea. I put some white gel pen dots in the "sea" to mimic waves. For the sky, I cut some cloud dies out of Eclipse paper and sponged Baja Breeze ink. The I used the reverse mask to lightly sponge some Soft Sky ink around the inside edges of the clouds. Lastly I stamped some birds (which I envisage are lazily floating in the sky - hence using the CASology key word). Thanks for visiting. This was a fun and relaxing card to make. 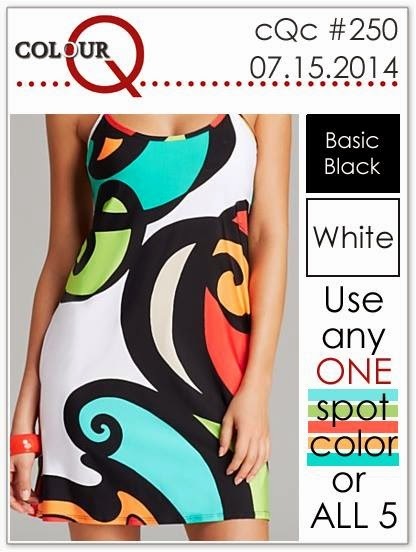 Today is Freshly Made Sketch Challenge Day and that means another sketch for you to try! This week, Cindy Lovell has given us a gorgeous sketch. If you're not familiar with Cindy's work, you need to check out her blog - she has an amazing talent and style. 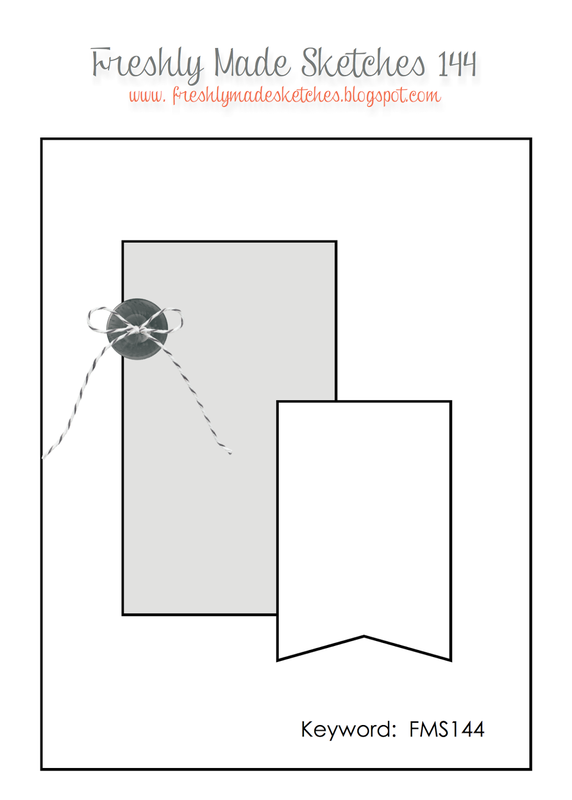 I think I'm actually missing a layer behind the circle but by the time I realised, my card was all stuck down and there was nothing I could do. Thanks for visiting. 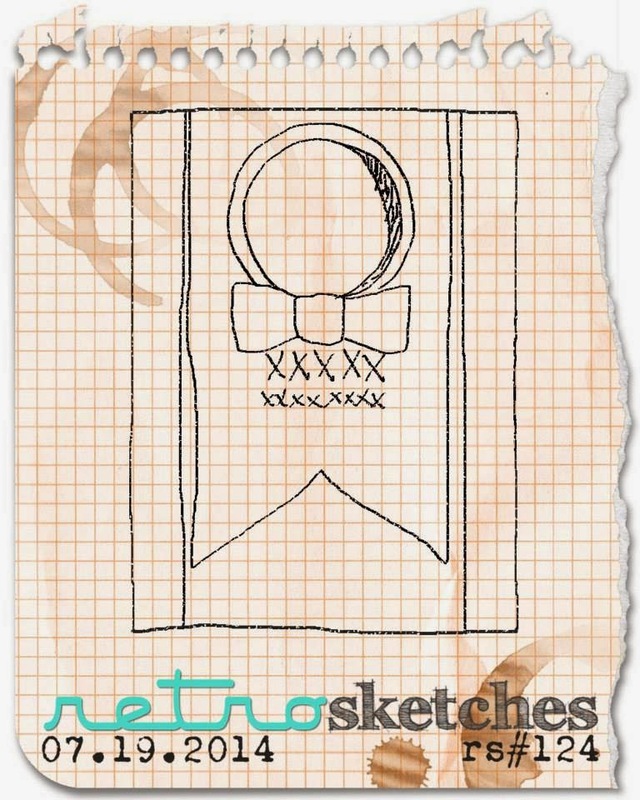 Be sure to check out my talented team-mates and give this fun and trendy sketch a go yourself!